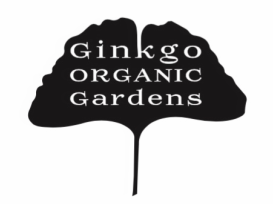 Ginkgo Organic Gardens is a community pantry garden in Chicago’s Uptown neighborhood. We employ sustainable agricultural practices to grow heirloom varieties of fruits and vegetables. We donate our produce to organizations that serve people who struggle with poverty and illness. Through volunteer work days, we provide opportunities for individuals and groups to contribute to our mission of being stewards of the land while serving others with high-quality food. Founded in 1994, we’re one of the oldest continually operating community gardens in the city. We grow and give a half-ton of fresh produce a year, with the help of hundreds of volunteers. Working in partnership with NeighborSpace, Chicago Cares, and Vital Bridges, Ginkgo has developed a unique solution to meet two needs in Chicago: sustenance and connection.